Tuts+ Workshop: Cassette Design Challenge; Final Round! We received over 100 design submissions for our Tuts+ Workshop: Cassette Design Challenge, our most popular community project to date! It's great to see so much talent and creativity coming from our readers and are proud to show off what you've created. So check out our fourth and final installment of this great Tuts+ Workshop after the jump. Below we present to you our fourth round and final installment of the Tuts+ Workshop: Cassette Design Challenge. If you're curious to our previous installments, you can view our first, second and third rounds. different points of view, and of course ... it's always fun to create. And I said: Coffee and music are essential for a designer. Hi, I'm Alyssa. I am a fresh grad of Graphic Design as of recent and I've decided to just join in the fun of the Cassette design challenge. So for my Casette Design Challenge, I've decided to do a design inspired by one my most favorite songs from Muse - Supermassive Black Hole. I have used spiral lines being blended and masked in a minimalistic approach in order to represent the dark, futuristic and beautiful tunes of the song. Done in 15 mins. Fun challenge! I'm Barbara Lambert a Web Design student. I'm a fan of Illustrator and Vectortuts+ is a great place to learn and challenge myself. My cassette is titled Maintain. I’m David – web designer by day, vector busting ninja illustrator by night. When I listen to music I tend to flit from genre to genre so this image represents my monster mega mix – enjoy! Inspiration - I didn't see many cassettes with transparency illustration. I've added my version to the challenge. Hi! 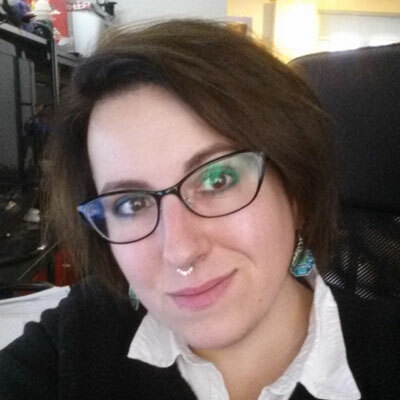 I'm Erica Freschi and I'm a web designer: I love work with Illustrator while I'm hearing some good music! This contest fits to me great! For my graphic I chose the queen of today pop music... guess who? Hey I'm Armin, I work as an Screen designer in Munich. My cassette is inspired by electronic music. Visit Fader Fader One online. My design is in part inspired by dub step music, and in part by the album artwork from Linkin Park's earlier albums. I love the shapes made by origami and it is interesting in a metallic-like form. My name is Gabrielle and I am aspiring illustrator-hobbyist. I love Illustrator and am always finding ways to better my knowledge, even though it is not my main passion. I was inspired to make a mix tape for kids because that genre of music seems to be left out nowadays. Young children end up listening to music that wouldn't have been allowed 20 years ago. Kids should have their own innocent music. My name is Keena and I am student at Full Sail University. This is my design for the Vectortuts+ Cassette Design Challenge. My design was inspired by the song "Papercut" by Linkin Park. It is a simple design, but I think it is a good visual representation of the sound/feeling given by this song. Inspired by 80's British New Wave era, it's a simple design, easy to design and plain color but expresses the era it was derived from. This is New Wave. Hi, my name is Luis I’m from Mexico and I want to be a graphic designer. I like abstract art and I thought it would look good behind my cassette. Work inspired from the videotape of levels Avicii when the immagination start to run and you can't stop to move and create alternative world. My name is Michela I wanna to become a graphic designer. Now I'm studing at Laba of Rimini..
Hey guys, my name is Miguel and and I'm a graphic designer from puerto rico, currently unemployed and whith free time on my hands and for this design I just did what I like sooooo! Hey I'm Mikey, I work as an Advertising Art Director in Auckland, New Zealand. My cassette was inspired by the song "Down Under" by Men at Work. To me it's about going deeper into what creates great music. Hi, my name is Rajesh Bhattarai. I am a web/graphics designer from Nepal, where the world's tallest mountain Mt. Everest is situated. I love to design websites and the print ads. Hi! my name is Walter from Costa Rica, this is my cassette design about one of my favorite bands. We've started a new design challenge and it's a bit different from previous workshops. It's a freestyle challenge with a theme of "Information Graphic Maps". This means you are free to interpret the challenge in any way you wish, as long as it displays information in map form.